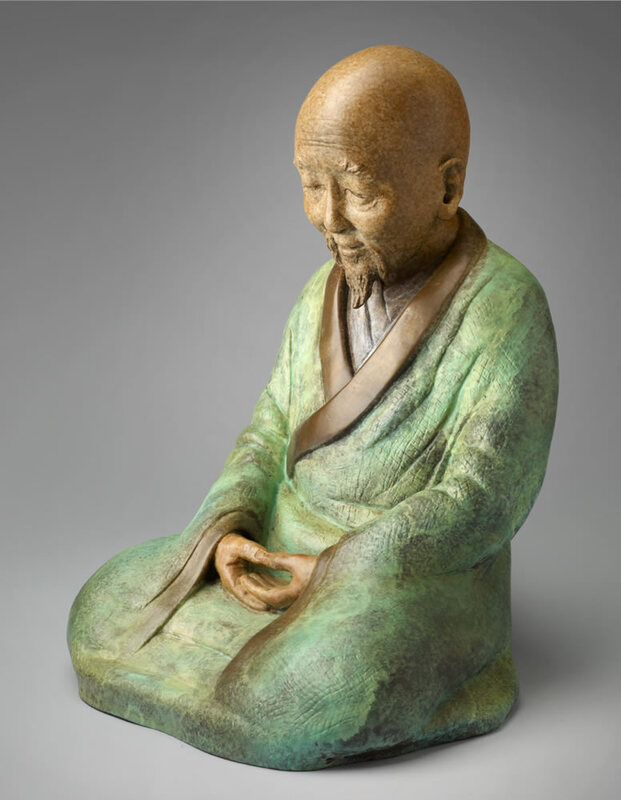 This sculpture of the zen master “Wu Wei” embodies a state of being that is “without effort or control”, which is an important concept of Taoism. A peaceful and serene existence manifests only through the inner cultivation of freeing ourselves of our ego’s need to control life around us. Living with “Wu Wei” means living in harmony with the natural rhythms of the universe, the way of the Tao.